Piping is a fab way to give a professional looking finish to your sewing projects. But it’s also something that can be a little bit intimidating if you haven’t tried it before. I felt intimidated by the idea of sewing piping until I tried it! But I decided in the end that I wanted the nice look that piping would give more than I was put off trying something new! Adding piping to a cushion is a good place to start if you haven’t made it before. It’s not to fiddly just to add some to the edges, and you can use the nice thick stuff. 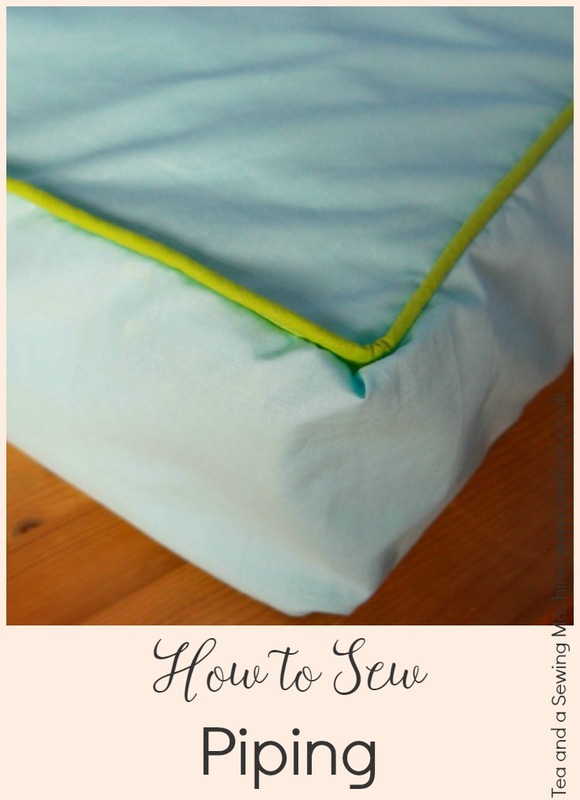 So I’m going to show you how to sew piping! You don’t need anything special, just some fabric (or some bias binding if you don’t want to make your own strips) and some piping cord. A zip foot is useful, and if you have a rotary cutter , you might find it quicker for cutting the strips (these are affiliate links). The first thing to do is to make the bias strips. Cutting the strips on the bias will allow the fabric to stretch a little bit, which is exactly what you will want it to do if your project has curves and corners! If you don’t want to make your own strips, you could use bias binding instead. You’ll need to get the 25 mm kind, or wider if you can get it. It’s easy enough to make your own strips though! Making bias binding can be fiddly, but cutting the strips isn’t the fiddly part. You can make them wider than bias binding, which makes sewing the piping easier, and they will match your project perfectly. The width of the bias strips will depend on the thickness of the piping cord you are using. They need to be wide enough to cover the piping cord when folded in half, plus a bit extra so that it can be sewn into the seam allowance. I used thick cord for my project, so I needed my strips to be wide. It’s easier to make your strips wider than you need and then cut them down, than to find that they are not wide enough! If you need more bias strips, draw more lines 4 cm away from the last one. 4. Cut along the lines. This is easiest with a rotary cutter (affiliate link). Now that your bias strips are ready, you can sew in the piping cord! 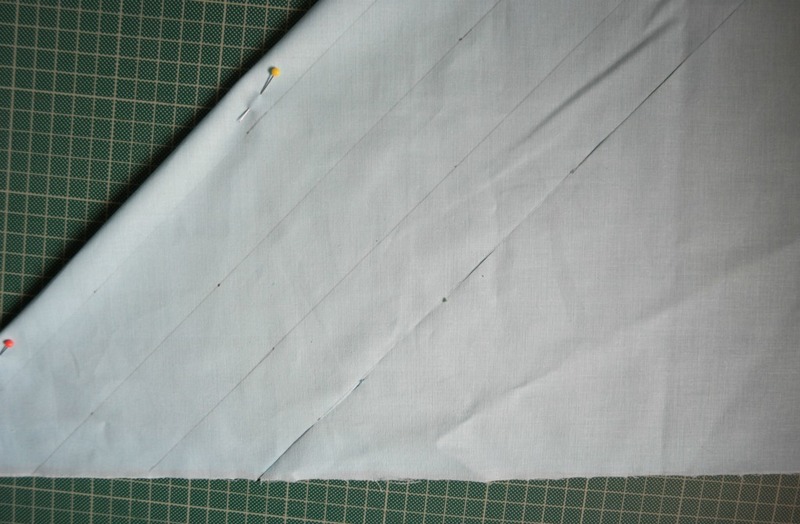 Fold the bias strip in half lengthways and press with your finger. You don’t need a proper crease here, it’s just to get the cord in the middle. 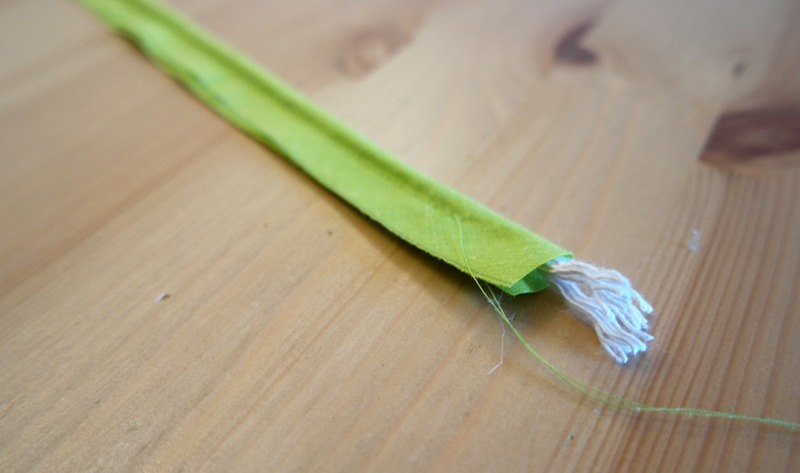 Pop the cord inside the bias strip so that the cord is protruding beyond the end of the strip. 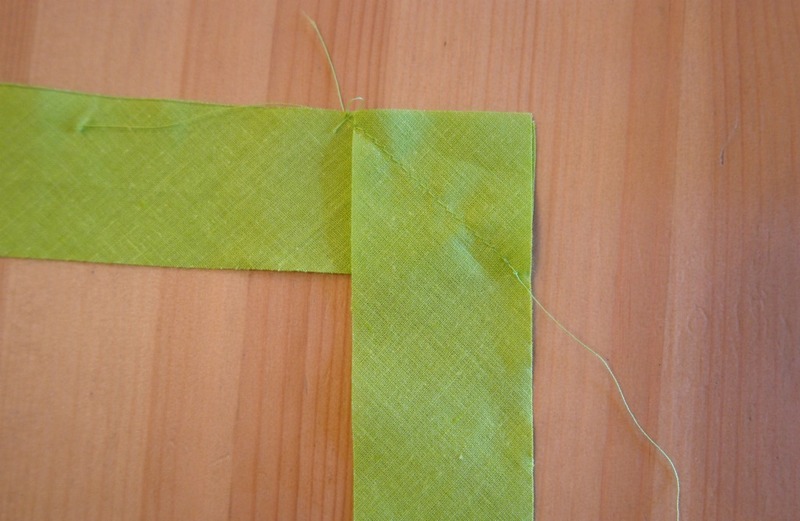 Sew along the folded bias strip close to the cord so that the cord is enclosed inside the bias strip. If you have a zip foot, using it will allow you to get closer to the piping cod than an ordinary foot will. Leave a couple of cm free at the ends. You’ll need to be able to fold one end over the other when attaching the piping to your project. 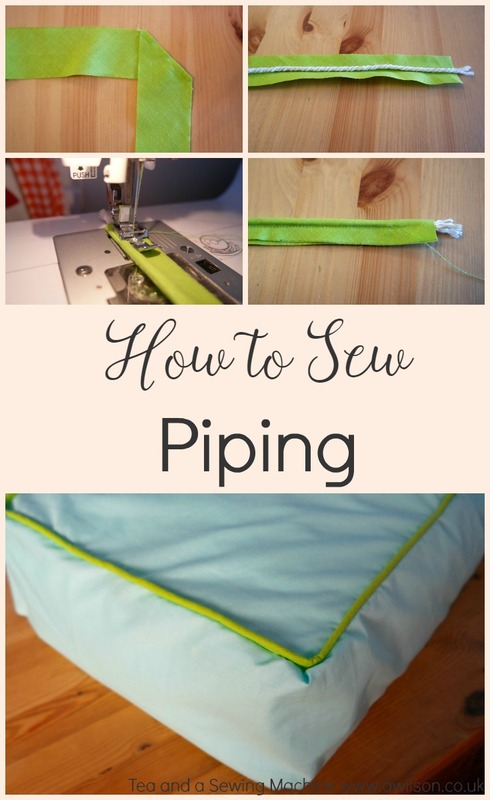 Now you know how to sew piping, you need a project! Here’s a tutorial for a piped box cushion. The idea of setting yourself up for success is one of my favourite things at the moment. I suspect people might think I have it all together. I really don’t! Recently I started the Flylady thing again as the mess in my house was out of control. A big part of this is that we’ve been redoing the kitchen, but it’s not all kitchen stuff! I’m finding it very difficult juggling everything at the moment and feeling that I’m failing is not very nice. So I set myself up for success. The Flylady is about keeping on top of things. Even tiny things like putting all the shoes onto the shoe rack in pairs, or making the boys’ lunches the night before, can make a huge difference to how smoothly things go in the morning. This idea can be applied to sewing too! 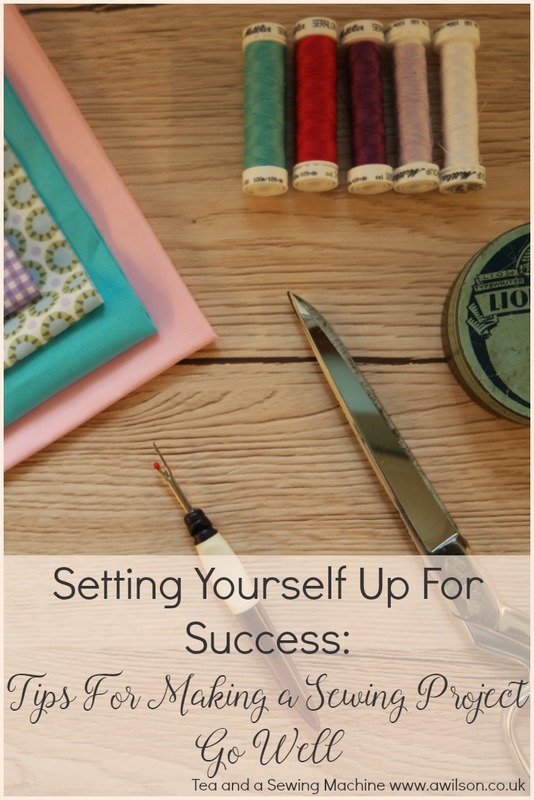 Here are my tips for successful sewing and what you can do to set yourself up for success. Identifying some time when you can work on your project greatly increases the chance of you actually doing it! Just sticking it on your to do list isn’t enough. You need to decide when. Finding time can by tricky, especially when you are busy. If you need some ideas of how to find time to make stuff, there are some tips here. It’s much easier if you have somewhere where you can leave things out while you have a project going on. If you can find yourself a space, you can also get things ready beforehand. That way, when you’re ready to start, you can get going straight away. If you live in a small house and/ or have lots of kids, this can be difficult. Remember, it doesn’t need to be a whole room! Just a corner where you can leave your sewing machine out. I’ve written a post about finding a space to sew which you can read here. It is very frustrating to start making something, only to discover that actually you need velcro, or that you don’t have thread in the right colour. Even if you live opposite a shop that sells this kind of thing, the shop is unlikely to be open at 5 am, in the evening or on a Sunday afternoon. So check that you have everything first! If you’re using a pattern or a tutorial, read through it a couple of times so that you know what you’ve got to do. You might decide that you want to do things in a slightly different way. You might want to change the order of the steps, or do something else differently, like add a button instead of a zip, or add an appliqued design. It might be that you want to make things easier, like sew bias binding to a curved hem or a neckline, instead of hemming or using facings. If there’s a technique you’re not sure of, take some time to have a think about how you’re going to do it. You can find out how to do pretty much anything online. YouTube especially is very good for this. Thread your machine with the correct thread. Make sure that you have anything else you might need to hand. This will probably include pins in a pincushion, scissors, unpicker, tailors’ chalk, tape measure. If you’re making clothes for yourself, check your measurements against those on the pattern. Jot them down so that you don’t end up having to re measure yourself. Get any other measuring done before you start and write it down somewhere. 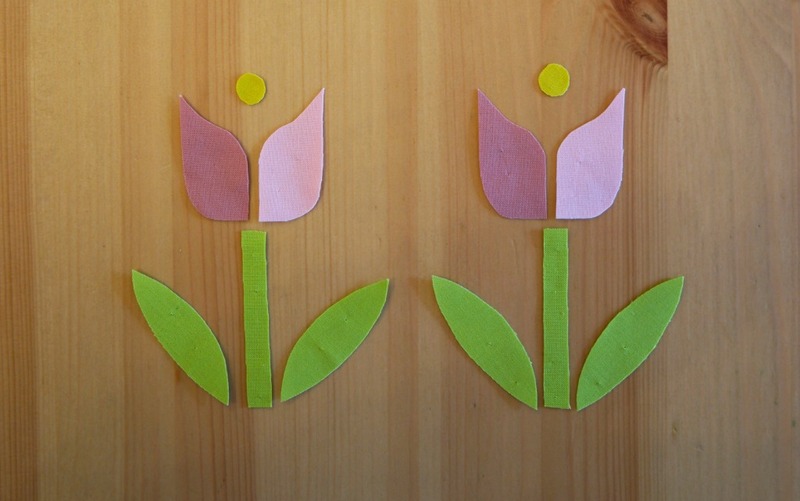 If you’re using a digital pattern, print out pattern pieces and instructions. Iron pattern pieces if you’re using a paper pattern. If you need a break, take one. Studies have shown that less breaks actually mean lower productivity. Having a break is not a waste of time! If you are tired, go to bed. Last summer I made a dress for a family party. I sat up late and I rushed it. The dress ended up being a total car crash and I couldn’t wear it. I had to buy something instead. Take time to do the things that will make a difference to the finish. Trim your seams in half. Finish the raw edges. Press your seams. If you need to let something hang over night, then let it hang. Don’t rush it! Try to keep tidy. I want to take my own advice on this one! If you put things back where they live, fold up fabric and move it once you’ve finished cutting out and generally control the mess, you’ll waste less time hunting for things and there’ll be less to clear up at the end. Sometimes things go wrong. To borrow some words from Robert Burns, sometimes the best laid plans of mice and men go awry. Not everything is within our control. 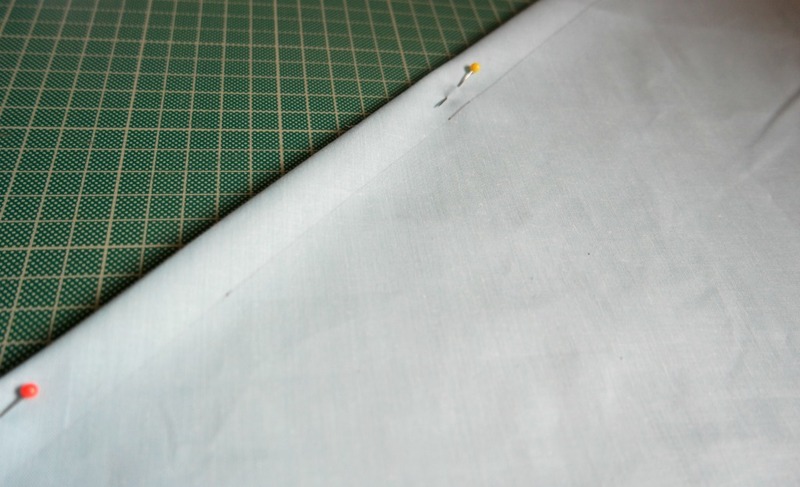 Yet by following these tips for successful sewing, taking a little bit of time to do some preparation before you start, and taking time where it counts, lots of little things that could go wrong probably won’t. 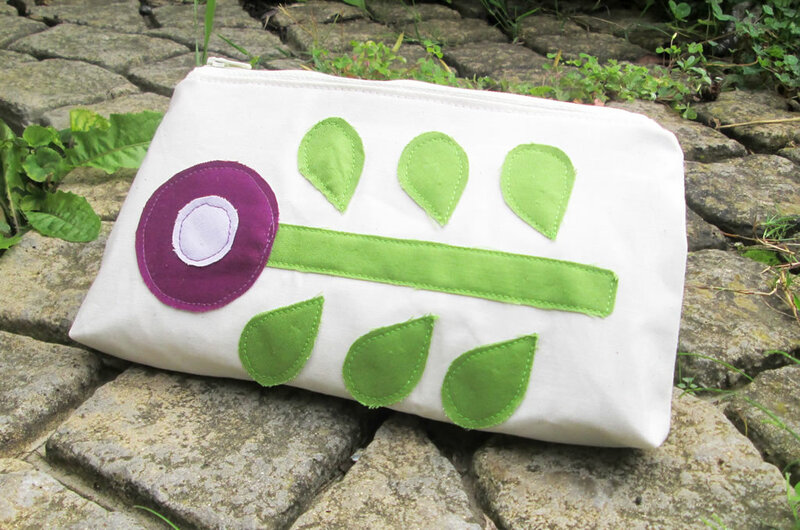 If you have made something and it’s not gone according to plan, you might like to read this post about what you can do when a sewing project goes wrong. A dress form is a very useful item to have if you make your own clothes. Draping, pinning and adjusting are all tricky to do on yourself, especially if you don’t have a kind friend who you can call on to help, or a husband who won’t mess it up! However, the adjustable sort can be expensive and the non adjustable kind might not be the same size as you. Thankfully there is an alternative! 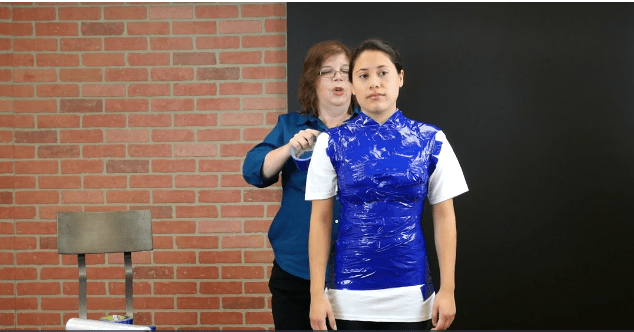 In this post, Maggie from All Free Sewing shows how to make a diy body form from duct tape. Hello all you happy sewers! My name is Maggie Connelly and I am the editor for AllFreeSewing.com. Anna is kindly letting me post here so that I can show you guys how to make a DIY Body Form. Now you don’t have to worry or fuss with trying on your sewing project numerous times. Making a body form that perfectly matches your body and proportions is a fantastic way to cut down some time in finishing up your sewing project. Don’t bother wasting any more time trying on an altering that dress or skirt or blouse you’ve been working on. The great benefit of creating a body form that perfectly matches your body is that you know what the garment you are trying on is going to look like. You don’t have to follow a pattern just to see that once you make the alterations it doesn’t look like you had hoped. Skip the disappointment and wasted time and get started on creating basically your body double. Note: If you are making this body form for yourself, you are going to need some help in creating it, as you will be the “model” in the instructions. 1. Wrap Saran wrap around the base of your model’s, or your own, neck. (This will prevent you from getting duct tape on the neck). 2. Using short lengths of tape, from the back, pull the t-shirt tight, and tape it into place. 3. Tape up the entire t-shirt. Be careful to not make the shirt too tight. Start with a criss-cross pattern at the top of the neckline to cover the shoulders. You will want to be using a dark or colorful tape to contrast against your white t-shirt as well, so that you can make sure you are fully covering the entire shirt. 4. Make sure while you continue to wrap, that one strand of tape wraps around the next. 5. 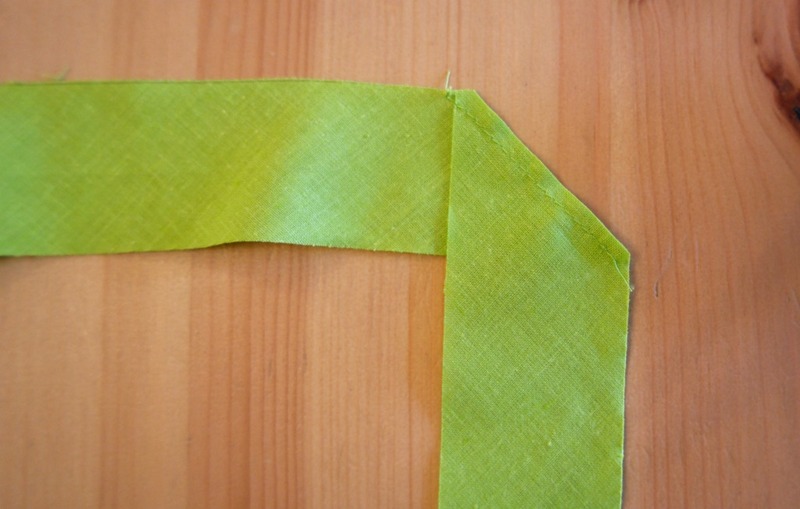 When you get under the arm, use wider strips and let them overlap to the front as you continue to tape. 6. Be sure to only go 3-5 inches below the hipline, but not any further. 7. Going back to the front on the shirt, after you have your criss-cross completed, go side-to-side with the rest of the front side of the shirt. 8. Place some strips around the collar and each shoulder to know where to cut to keep a clean line. 9. To keep the bottom of the body form smooth, start at the bottom and spin around and around as high as you can go. 10. Turn your model around and prepare to cut all the way up the back. Be sure to only cut the t-shirt and not any other clothing the model may be wearing. 11. Stuff your dress form as tightly as possible using loose fiber fill, starting with the bust area. 12. Use a polyester pillow to take up most of the space for your body form. 13. Tuck your sleeves inside of the form to keep the stuffing from leaking out. 14. Work from the waist out and tape. 15. Make sure you have enough stuffing in the shoulders to keep them from collapsing. 16. Tape across the neckline to keep the stuffing from leaking out. Be sure to not apply too much pressure but simply lay the tape across the top so that you do not create a flat or caved in neck and shoulders area. 17. Tuck your pillow up as far as it will go and tuck the ends of your shirt over the pillow. Then tape it all in place to keep the pillow from falling out. Now that you have your own personal body form ready to go, why not test it out with some new sewing patterns? Check out this amazing collection of 35 FREE Printable Sewing Patterns just for you! The first sewing machine I had was a Singer that dated from about 1970. It had one foot and 2 stitch options. Now I have a Silver 8000e , which even as a fairly basic machine can do dozens of different stitches. It also came with half a dozen presser feet. As wonderful as they are, modern sewing machines can leave a person feeling confused and overwhelmed, especially if that person is new to sewing or if that person has previously used a machine like my old Singer. 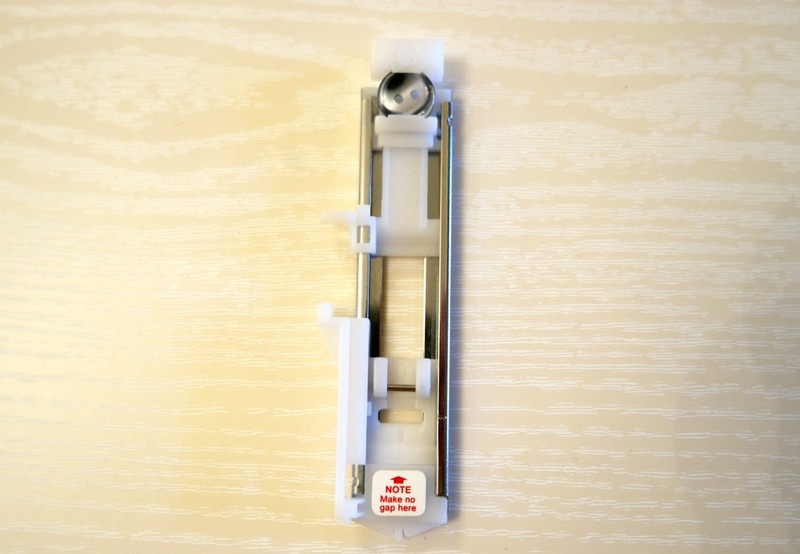 When I wrote a guide to sewing machine needles a few weeks ago, I had a comment from somebody asking if I would write something similar about sewing machine feet. She had a lovely new sewing machine but was put off even getting it out of the box because the number of feet the machine came with. If you can identify with this, then this guide is for you! It’s not an exhaustive list. It’s simply based on what I use as somebody who sews a lot. 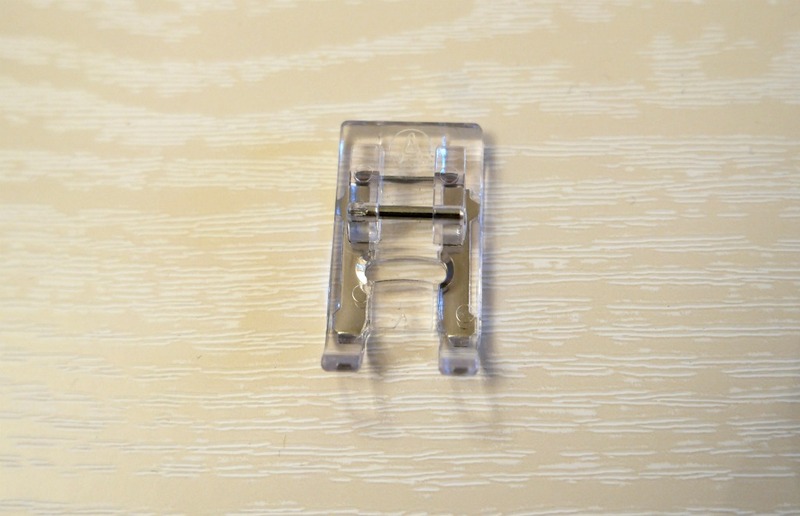 I’ve also included sewing machine feet that I might use if I had them, and ones that I either don’t or wouldn’t. It looks like this. Obviously this is the one you’re going to use most often. The embroidery foot is very similar to the regular foot. The main difference is that the front part is made from clear plastic instead of metal and there’s an open bit at the front. This enables you to see more of what you are sewing, which is useful if you are doing machine embroidery. It’s also a good stand in for your regular foot if you happen to have misplaced it. Thankfully my regular presser foot turned up eventually! 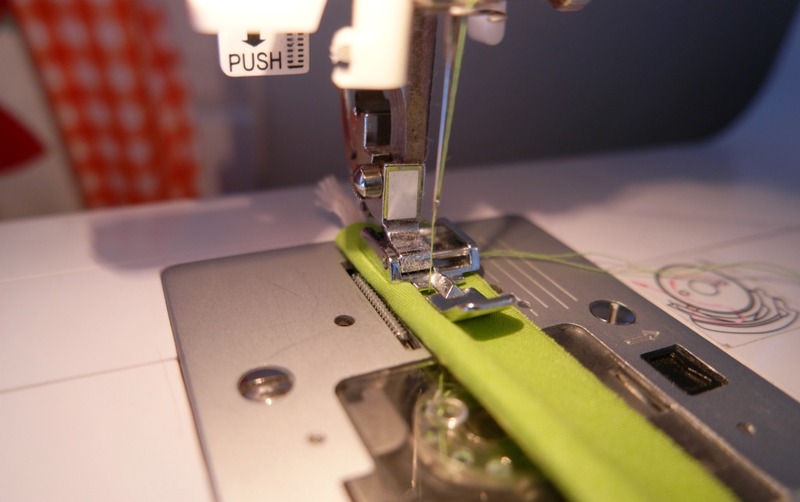 A zip foot makes sewing zips a whole lot easier. Some zip feet will only let you sew on the right or left side. The one I have is double sided, so I can use it to sew on the left or right. I just have to clip the other side of the foot onto the machine. If you’re buying a zip foot, it’s probably best to get a double sided one, although they do cost a bit more. 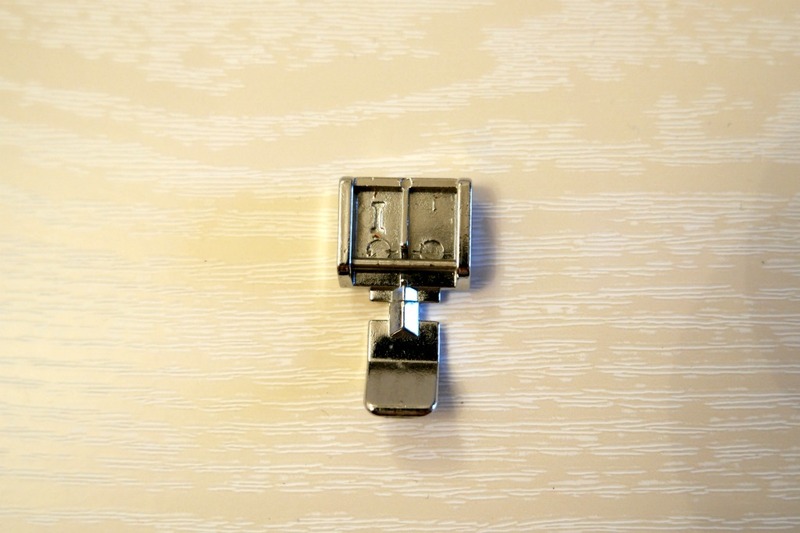 If you get a left or right zip foot, you may well find yourself buying the other one as well as being able to switch sides is useful, so you probably won’t save anything in the long run. Zip feet are not just useful for zips! They are designed to get close to the zip, which makes them good for sewing anything that is difficult to get close to with a normal foot. 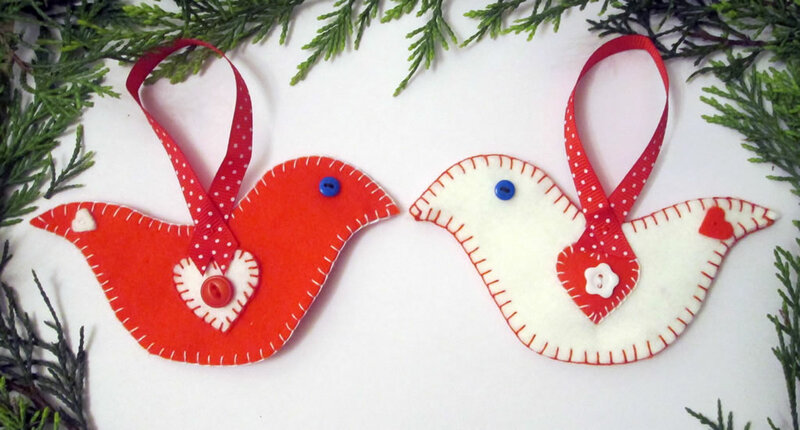 They are especially useful for sewing piping. Overcasting offers an option to finish raw edges if you don’t have an overlocker. I don’t use it that often, usually just on fabric that frays badly. The foot has a little bit that sticks out, which you align with the edge of the fabric. Then the needle jumps either side of the little metal bit in the middle when the overcasting stitch is selected. I think a lot of people are most scared by their buttonhole foot. I actually find it very useful! The one I have has a space at the back for the button to ensure that you make the hole the right size. 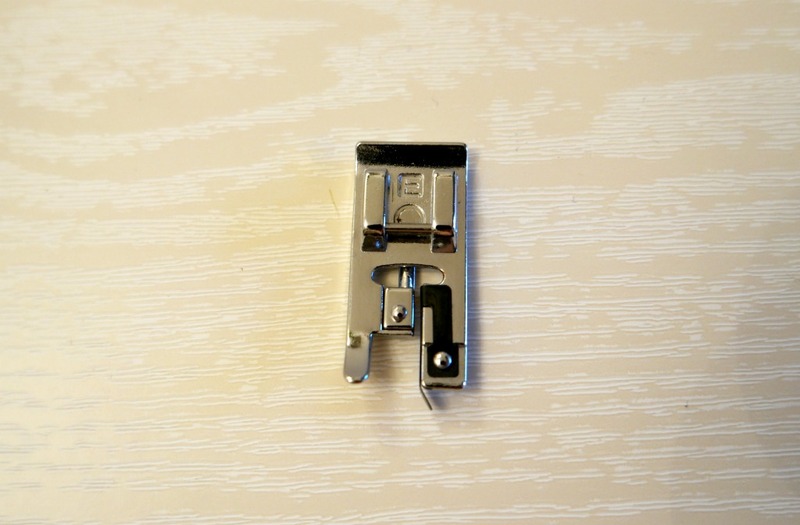 If you’re intimidated by your buttonhole foot, the best thing to do is to check the instructions for using it in your sewing machine’s manual, then practise on scrap bits of fabric. I always do this first because I can never remember where the buttonhole will start in relation to the foot, so I have to check so that I know where to line it up. Trying to do a rolled hem without one is very fiddly, especially on a curved hem. I usually give up and use bias binding instead! This is a good one if you do a lot of machine embroidery. You can lower the feed dogs and pull the fabric in any direction, without sewing over your fingers. Generally I wouldn’t use these feet because I don’t do the things the feet are for, or I’d just use a different foot or a different technique. I’ve never needed to sew a blind hem! I prefer to sew buttons on by hand as I can wrap the thread around the stitches between the button and the fabric, making the button stand away from the fabric, so easier to get through the buttonhole. It might be useful if you sew lots of buttons onto things for decoration. I actually didn’t know there was such a thing until I did some research for this post! 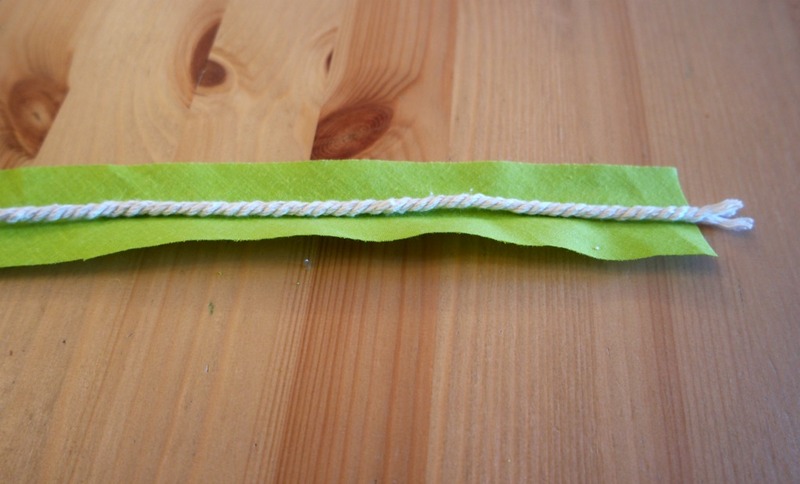 This enables you to sew cord or braid to your project. The cord passes through the middle of the foot. I can imagine this being useful if you do a lot of this kind of thing. I don’t plan on sewing anything with pintucks anytime soon! It looks very fiddly. If I was however, I would probably use a foot because it’s probably even more fiddly without one. I don’t ever sew fringes or ruffles! I think quilters find these useful as it gives more control when you’re sewing several layers of different fabric. 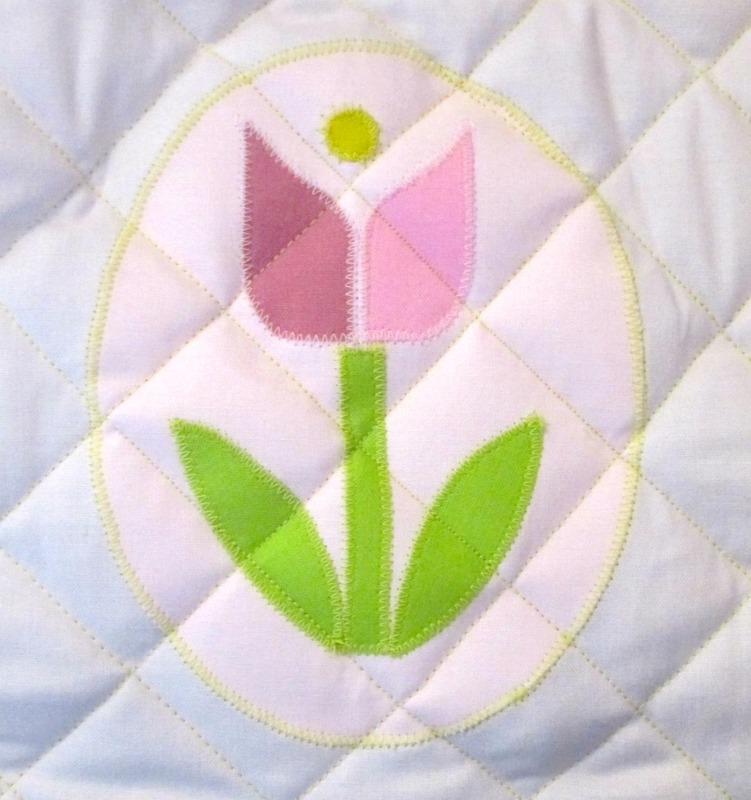 I only do small scale quilting! If you can imagine a foot for something, there’s probably one out there! Whether you need a particular foot depends on what kind of sewing you do a lot of. 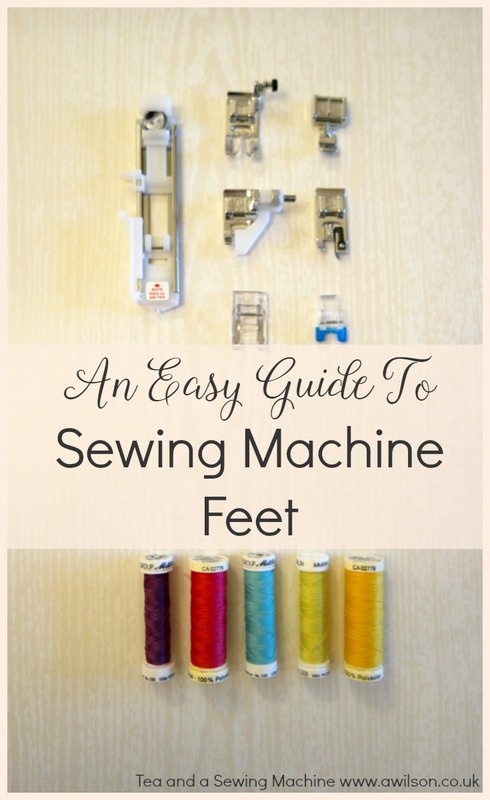 If you are overwhelmed because your fancy sewing machine has 27 different feet, I’d start with the regular foot, then identify another 3-5 feet that you might want to keep in the cubby of your sewing machine. The others could live with the rest of your sewing stuff until you need them. 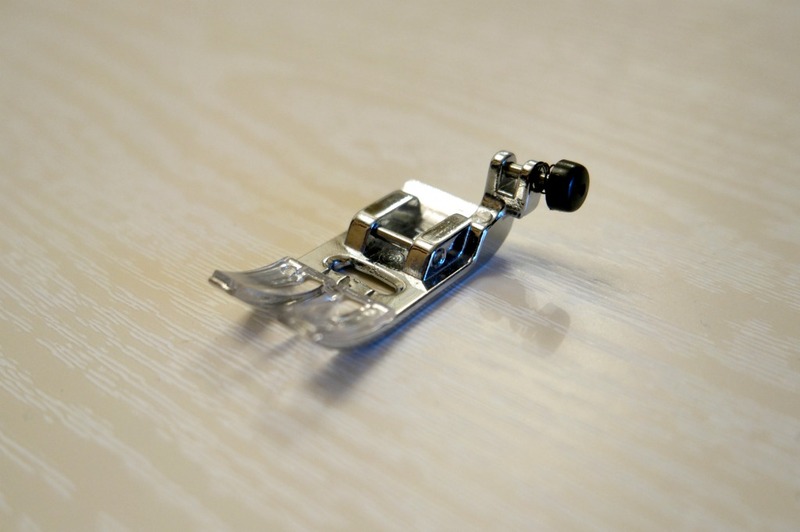 Which sewing machine feet do you use a lot? Share it in the comments!